From the sparrow to the starling, the woodpecker to the warbler, the eagle to the egret, and every species in between, birds are some of the most plentiful and most diverse creatures in North America. Soaring high above us, these winged beauties have long been a source of fascination and enchantment. While dozens of studies and field guides have been written, few provide a better-rounded overview of the denizens of the sky than Frank Michler Chapman’s Bird Life. First published in 1897, over a century later Bird Life stills provides insightful observations about dozens of species of birds native to North America. 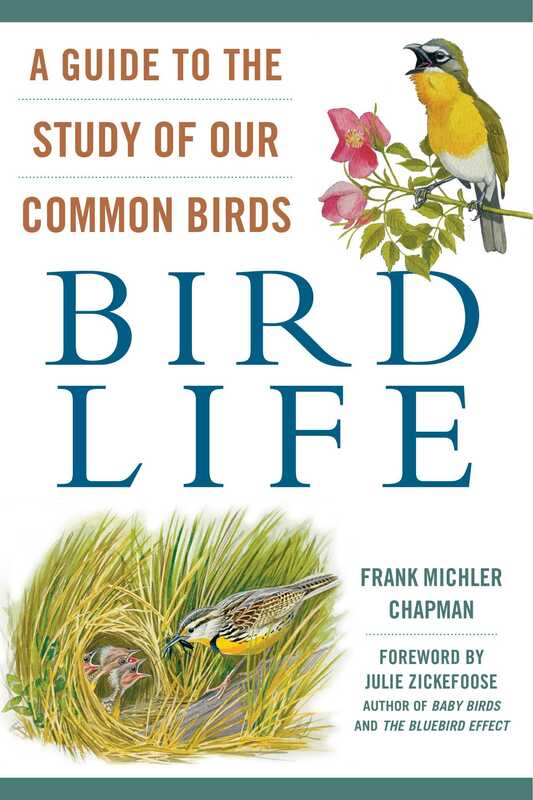 A pioneer in the study of natural history and ornithology, Frank Chapman writes with scientific prowess and an expert’s eye in regards to bird anatomy, migratory patterns, mating habits, and habitat choice. Describing species from across the continent, Bird Life is a true testament to one of the nation’s most beloved creatures. Frank Michler Chapman was an American ornithologist and pioneer writer of field guides. Throughout his lifetime, he published over twenty books and dozens of articles, all in the field of natural history. Chapman was a founding member of the Explorers Club and the Museum of Natural History. He passed away in 1945 in New York City.